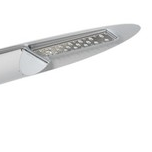 Advance by Signify Fluorescent, HID, Specialty Ballasts and LED Drivers. EcoPower LED Your one source for LED lighting solutions with 20 years of lighting knowledge, over 400 LED fixtures, retrofits and wired/wireless 0-10 vdc controls. Eurolite - De Majo DE MAJO, since the 1940's when the company was first set up in Murano, has focused the talent and expert skills of master glass-makers on creating classic chandeliers acquiring over the years experience and expertise which, still today, can be seen in the range of lighting solutions offered. ITC Horticulture As awareness started to build around the need for more effective and efficient lighting products for supplemental and controlled environment growing, ITC launched into full research and development mode. Research included grower interviews, focus groups, and gaining understanding of the most current physics of plant growth from university experts. Development progressed to comparison research with actual growth performance testing by comparing ITC prototypes against other products on the market. The result is a new Horticulture LED Lighting line. Philips Lighting Philips is a leader in shaping the future with exciting new lighting applications and platforms such as LED technology providing energy efficiency, attractive benefits and new 'never-before-possible' lighting solutions. Precision Multiple Controls Precision is a major producer of photocontrols and accessories for outdoor lighting applications, including their well known T-15 direct wire-in photocontrol, which has been a standard in the industry for over 20 years. Taylor - Avista Affordable, quality, commercial and residential fixtures. Taylor - Industrial/Rig Lights Industrial/Rig Lights, Inc. was founded in Brenham, Texas in 1999. They are a manufacturer of hazardous and specialty lighting, both in the oilfield and the industrial market. Taylor - TPR Enterprises LTD Established in 1980, TPR Enterprises has become one of the premier LED and Fiber Optic lighting manufacturers in North America with a core group of LED products and a complete range of Fiber Optics.